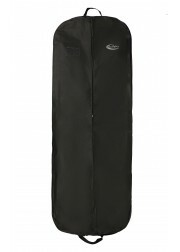 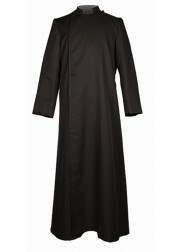 Cassock, long garment worn by Roman Catholic and other clergy both as ordinary dress and under liturgical garments. 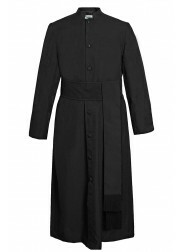 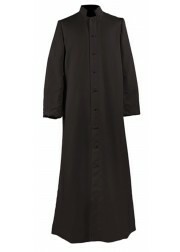 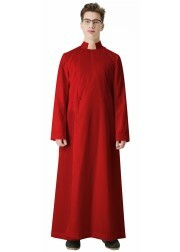 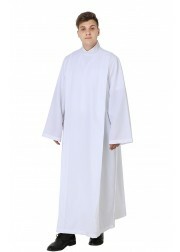 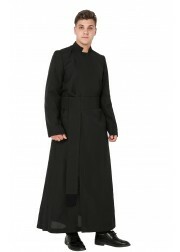 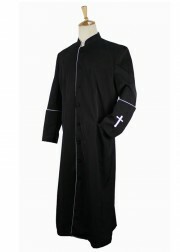 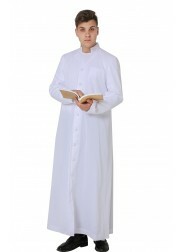 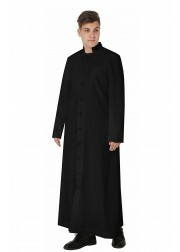 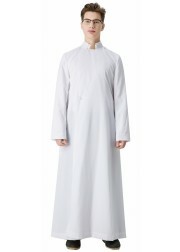 The cassock robe, with button closure, has long sleeves and fits the body closely. 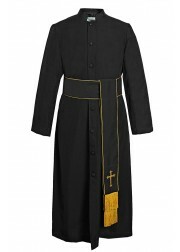 In the Roman Catholic church the color and trim vary with the ecclesiastical rank of the wearer: the pope wears plain white, cardinals black with scarlet trim, archbishops and bishops black with red trim, and lesser clergy plain black. 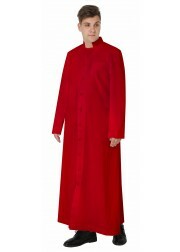 In choir and church ceremonies the pope wears a white silk cassock,cardinals wear scarlet, except in penitential seasons when they wear purple and lesser clergy wear plain black.